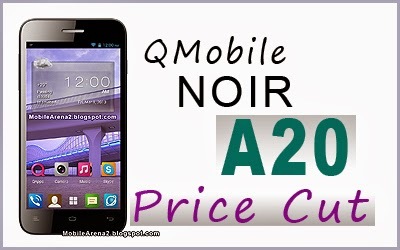 QMobile NOIR A20 is a well know phone of the famous and most liked company of Pakistan. It is a phone that has qHD display. QMobile announces a mitigation in the price of this Quad-Core phone. This previous price of this phone was 19,000 PKR but it is officially announced today that this Dual-Sim phone will now be available for only 17,500 PKR. This is announced through facebook page of QMobile. The company is doing marketing of this phone with the slogan of "Launch your dreams". This phone has 1.3 Ghz Dual-Core processor , 4.5 inch qHD display , 4 GB internal memory pared with 1 GB of RAM, 8.0 MP auto focus camera and it runs of Android 4.1 Jelly bean . The reason behind recent discount, in our view, is that the sale of this phone was not upto the estimate and there left a huge stock for this phone . It is interesting to know that sometime ago QMobile had also launched a scheme on this phone. The company had given mobile phone numbers of some shopkeeper in karachi. It was said that "contact on this number to gain concession on this phone. We were curious to know the offer in detail , so we did contact on given phone number and asked about the offer . The shopkeeper told us that he can provide NOIR A20 in 17,500 Rupees. It is obvious now that the company was selling this phone on this price but not openly . 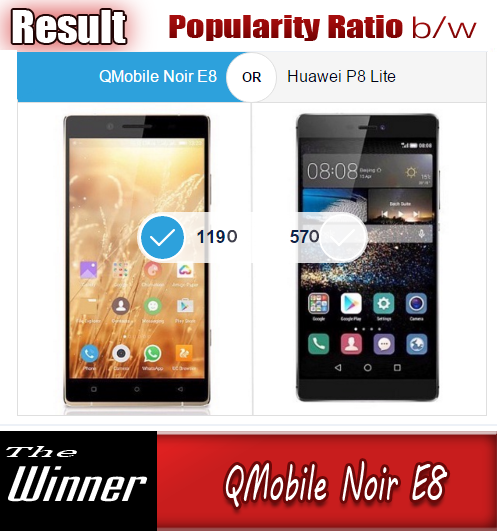 Today the company has openly announced the discount on this phone and now this phone is available with new price throughout the country.